The City of Bellbrook turned a happy 200 years old this year, 1816-2016. Bellbrook originally started as a village with only a few residents documented and over the past 200 years it has grown into a city with a little bit over 15,000 residents. Bellbrook has grown with businesses flourishing including: Dot’s Market, Nicholas Studios, The Dairy Shed, and Winters Library, just to name a few. It has thrived with education, with Bellbrook schools being ranked 2nd in Greene County for academics. Probably one of the most important things Bellbrook has accomplished in the last 200 years is to become a community, held close by organized events and leaders who want to get involved in making a change for a better tomorrow. As a community, we celebrate this landmark of 200 years by having open tours of Bellbrook’s Historical Museum, a City Council meeting dedicated to the subject and even having floats decked out with the number 200 during the annual Sugar Maple Festival parade. 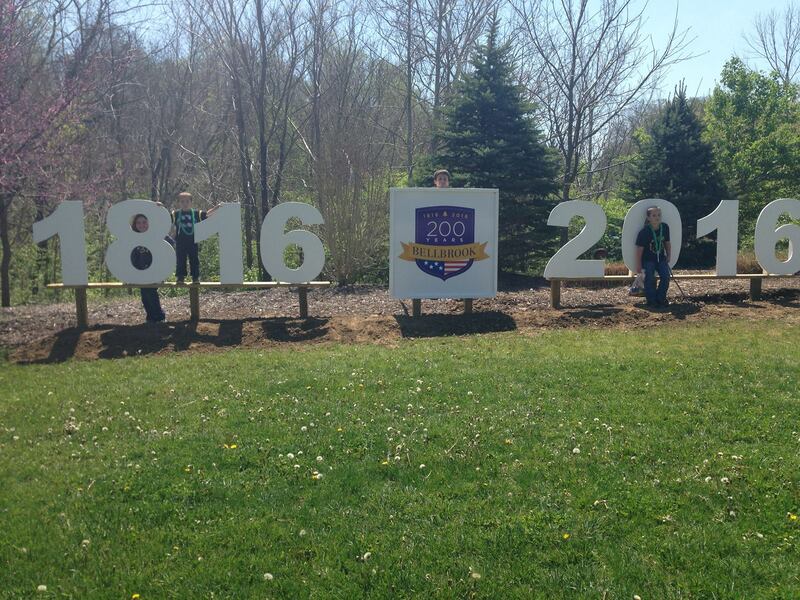 Museum tours are still going on through the month of May, so make sure you go check out our history as a community and the sign on the corner of Vemco Drive commemorating our 200 years .